Clump #139: Another half hour of paper purging. This is proof that you can fit thirty minutes of de-clumping in a day, even while on an emotional roller coaster. Before going to visit my mom again, I felt I should honor the gift of paper-sorting my younger daughter gave me (yesterday’s post). Timer at the ready, set, go! I keep remembering a nice, neat woman of a more advanced age who was sitting with me for a little while in the hospital lounge. She spent the time cutting and trimming sewing pattern pieces. I mentioned that her task brought back memories, as I remembered that particular job to be a tedious one (when you just want to get started sewing). She said, “Well, I just hate to waste any time. 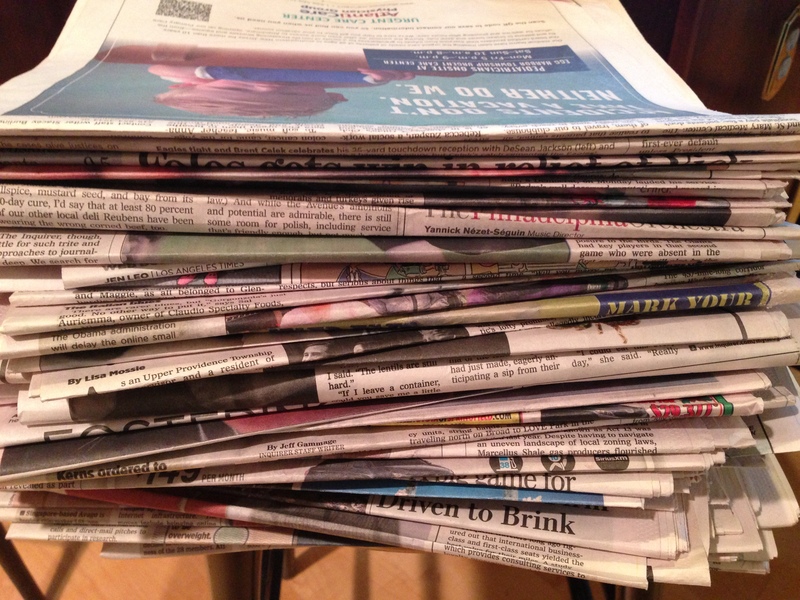 Especially when you’re my age and you know you don’t have much time left.” So, honoring my own precious time and my daughters, I got to work on a big pile of newspapers. I cut out the Sudoku puzzles for my husband. Getting through the newspapers has become a bigger project lately. My husband recently received a subscription to The Wall Street Journal with hotel points, adding to our usual Philadelphia Inquirer subscription. I’m amazed by the different level of spending reflected in its pages. For example, its real estate section is called “Mansions.” The lead-up to the holidays involved the usual lists of gift ideas, but with jaw-dropping prices. I’m definitely not their targeted demographic. 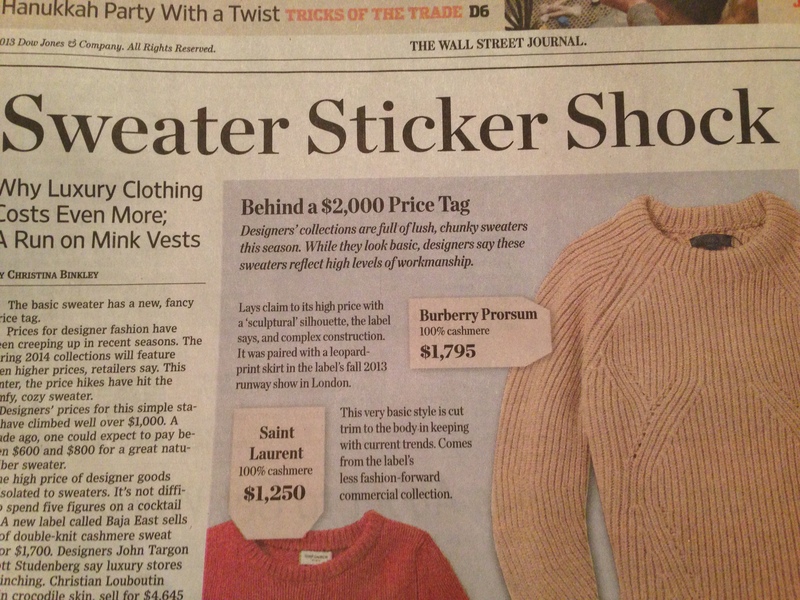 And then there was this article on the two thousand dollar sweater. What?!? I know there is no law against charging or spending two thousand dollars for a sweater, but I find it absolutely obscene. Okay, before I start foaming at the mouth, I will let go of this issue and this paper. 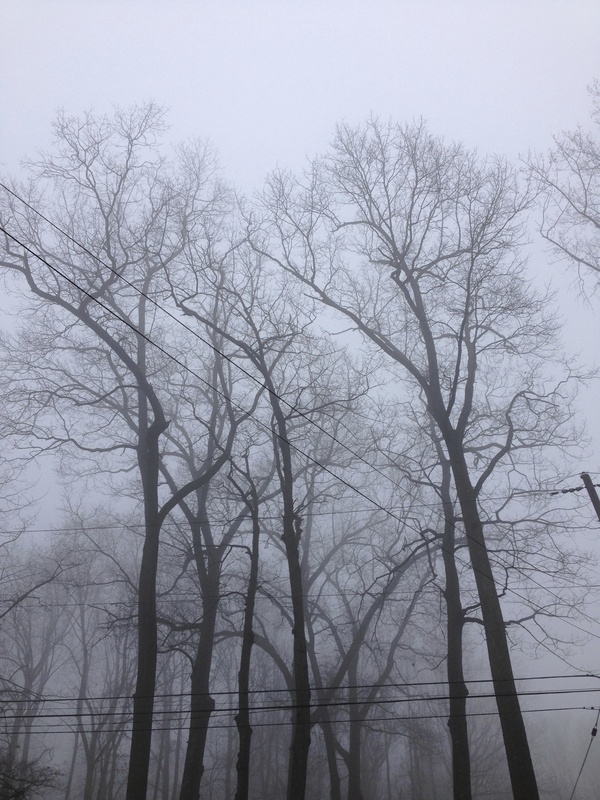 The good thing about purging papers in a time of stress and worry is that everything seems so trivial. 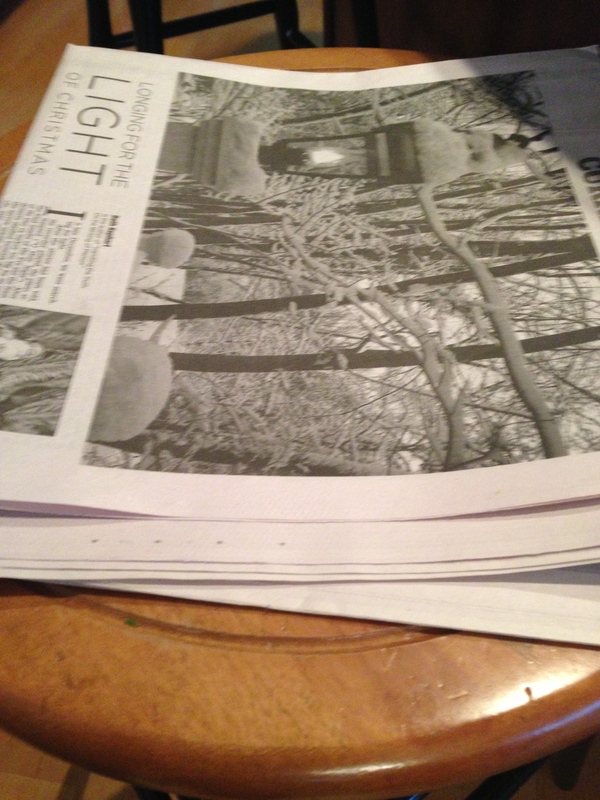 I was left with a very small pile that I might find enjoyable to peruse later … newspaper reading as a reward. made brighter by the promise of a good read and a cup of tea when I return, and a small sense of accomplishment.